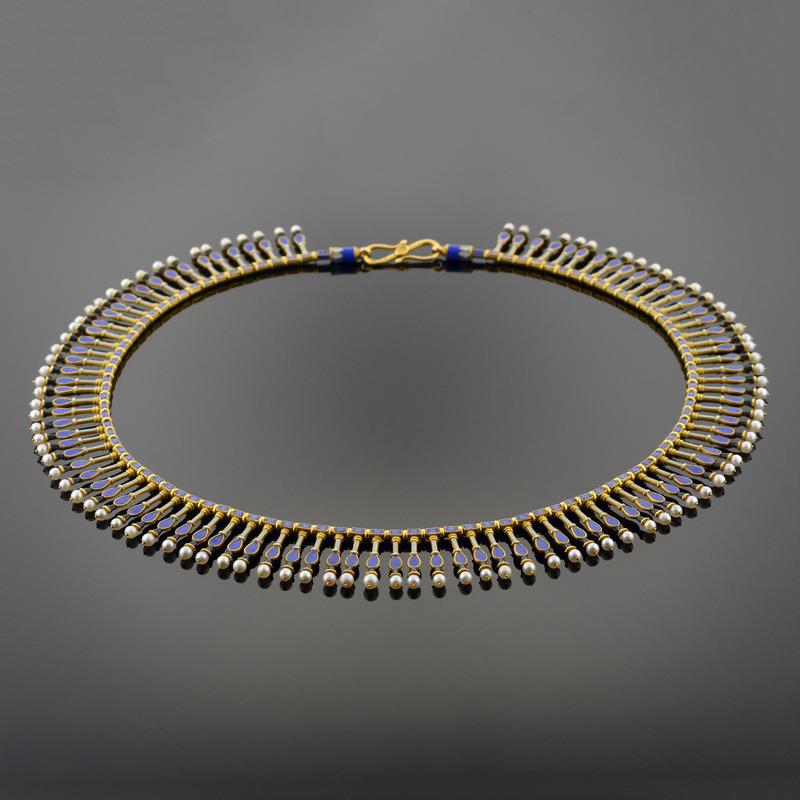 A rare enamel necklace handcrafted by stringing a series of ninety-five matching blue and white enameled beads on a woven gold cord. Each bead has a singular gold stem that is heightened by a pale blue, cobalt blue, black, and white opaque enamel tipped with a tiny pearl. Signed "C.G." with original fitted leather case handcrafted by "C.J. Kitts."